Okay, I will lay out the final solution to the big Illegal Immigration problem. It is compassionate, respectful, fair and logical. Aside from the fact that it will save our country tons of money. Further more, anyone not seeing the logic behind it is probably not capable of reason. Here you go. From the start on inauguration day this is how it should work. Start the wall. It will employ many people. All prisoners in jail for immigration violation will be put to work. We might as well get something from them. We only need to stop anyone trying to escape into the US, anyone who wants to head south…fine. Saves us some money not taking care of them. Next step is to set a deadline date of say 8 months, like maybe by October 1st. Anyone here illegally, undocumented, visa overstay whatever. If you didn’t come here and are not staying here legally, you know who you are. You MUST come forward, register, get your photo, DNA, fingerprints on record. If you have any criminal charges in your history, you’re gone…NOW! If not, then you can stay here without being able to obtain work, get any type of financial aid from the government, education or health care. That is AFTER you have paid your fine. Of course if you have someone in your family that wants to pay for your healthcare or any education, fine. If you have family here then they can take care of you. This will save our country money since they cannot be claimed as dependents in regards to the IRS. No welfare or social benefits would be paid by taxpayers. If you can’t work and your family can’t take care of you, then maybe you should just go back to where your home country is. If you do go home, and you had no police record from our country while you were here, you may apply to come here legally and we won’t hold it against you. Our country penalizes the taxpayer so much by having them pay for care for people who have disrespected our laws. Anyone who is visiting our country who’s parents are citizens of another country will NOT automatically be considered a US citizen. That was the true intent in the Constitution. Then, after the deadline, anyone who is found to be in the US without Documentation, in other words here illegally, will be subject to immediate deportation. We don’t have to go out looking for them to try to deport them, they will either leave because there is no job opportunity and no freebies available. If they have legal family here that can take care of them, then why should we have that big of a problem with someone who is NOT taking any jobs or resources or taxpayer money to be here. 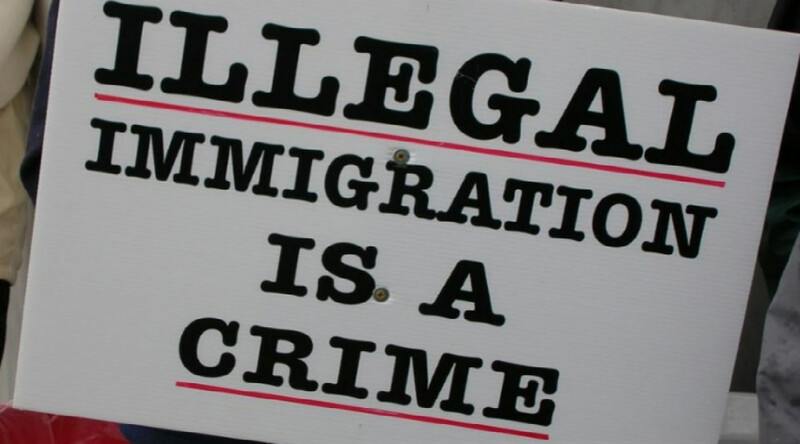 BUT…if you are ever convicted of a crime while you are here illegally, you would then have to go immediately. We have enough problems with our own citizens draining the taxpayer wallet and resources. We can’t afford to provide financially for those who did not obey the rules. They would never have the ability to return here if they did not register within the deadline. Those who are not here legally and do report will be provided an ID card identifying their status to ensure they could NOT be afforded the same benefits as those immigrants who are here legally. We don’t have to round them up, they will eventually take care of themselves and will no longer be a hindrance or burden on our law abiding tax payers. Oh yeah, anyone who comes here illegally after the enactment of these policies will be immediately sent back from where they came. They will no longer get a pass to come back for trial months down the road. If anyone has some additional ideas or suggestions, then we can always be willing to listen. I am an American who is proud of America but saddened by what has happened by actions of some of our politicians.